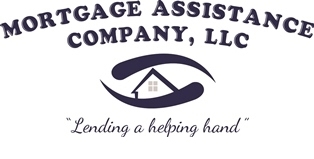 Mortgage Assistance Company, LLC. is a Residential Mortgage Broker licensed by the State of Connecticut Department of Banking. Connecticut Mortgage Correspondent Lender 3855, Connecticut Mortgage Broker MBR2754, Florida Mortgage Broker MBR1050. Verify our license at www.nmlsconsumeraccess.org. MORTGAGE BROKER ONLY, NOT A MORTAGE LENDER OR MORTGAGE CORRESPONDENT LENDER. The information contained in this transmission may contain privileged and confidential information and any non-public information is protected under the Gramm-Leach-Bliley Act. It is intended for the exclusive use of the addressee. If you are not the intended recipient, you are hereby notified that any review, dissemination, distribution or duplication of this communication is strictly prohibited. Contact the sender by reply email and destroy all copies of the original message. This email is for information purposes only and is not an advertisement to extend customer credit as defined by Section 226.2 Regulation Z. Approval and APR based on underwriting guidelines. All rates and terms subject to change.